Last summer when Nikon announced the D3, there was a lot of speculation as to when we would see a smaller, lighter body with a full-frame chip in it. 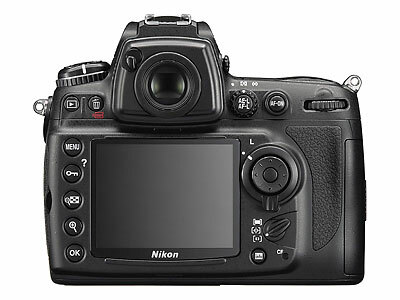 Well, the Nikon D700 is pretty much just that: a slightly modified D300 body with the 12.1MP FX format chip from the D3. I had a chance to get some hands-on time with the D700, and it’s sure to be a hit with the Nikon crowd. The first thing you’ll notice if you’re a D300/D200 shooter is the D700 is noticeably heavier (32.6 oz vs 37.9 oz). This was a little surprising at first, but it actually makes the D700 feel a little more solid than the D300 and actually closer to the D3. The D700 also sports a slightly taller pentaprism and what feels like a slightly thicker grip. The CF door is somewhat of a departure from the D300/200 but actually works very nicely. I know a lot of people were concerned about the door being flimsy, but it’s spring loaded and feels pretty solid. Right Side of the D700, including new CF Door. Looking through the viewfinder of the D700 is quite a sight. Even though it’s not quite as large as the D3’s 100% coverage, it’s still very large. The Autofocus system is the same 51-point system found in the D300 and D3 but slightly differs from both cameras. The coverage is weighted towards the center like the D3 but features the black AF-point highlighting of the D300. The D700 also feels great with the MB-D10 attached. Personally I think I’d leave the grip off the camera most of the time since it feels very solid without it. Not to mention the MB-D10 adds more weight and actually makes the D700 bigger and heavier than the D3. If you’ve handled a D300 or D3, the D700 should be nothing new. The controls are almost identical with a couple exceptions. First, the Info button is no longer shared with the lock/help button and now sits below the AF area mode selector. The D700 also inherits the multi-point selector from the D3, which I find easier to use compared with the D300. D700 Back. 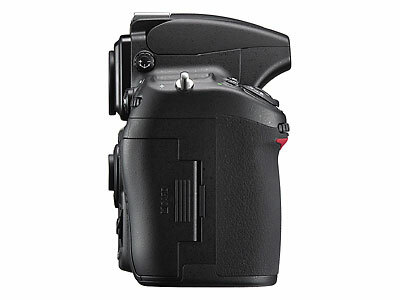 The controls are largely unchanged from the D300. The top LCD panel displays quite a bit less information as compared with the D300. Most of what was removed however can be found on the rear LCD by pressing the Info button. The new Info screen is going to be very useful because it gives you quick access to common functions such as your Shooting/Custom Setting banks, and Picture Controls, Active D-Lighting. It also allows you to view or re-program what functions you have set for the DOF Preview, Function, and AE/AF-L buttons. This may seem trivial for some, but I think it’s going to save a lot of time sorting through common camera functions on the fly. I was also very glad to see the rangefinder MF focus confirmation in the viewfinder. I’ve always missed this from the D200/300, and it’s good to finally see it in a model other than a flagship camera. For those not familiar, the rangefinder focus gives you an arrow to the right and left of the focus confirmation dot to give you an idea of how close you are to being in focus. (It kind of looks like this: >o<). The menus of the D700 are very similar to its big brother and little brother cameras. The D700 has all of the functions from the D300 plus a few from the D3 including vignette control, FX/DX format selection (sadly the 5:4 crop mode is not available), and virtual horizon. The D700 performs very well. The AF performance seems identical to the D200/D300 and it has the same great high ISO performance of the D3. The high ISO performance is certainly going to be the big selling point for most people and the D700 definitely delivers in that category. The shots I took at 3200 ISO still retained a lot of detail and looked very clean. The slight drop in frame-rate might be a disappointment for some, but the MB-D10/EN-EL4a/8-AA battery combo can easily solve this problem if it’s an issue. For me, I’d much rather have the full frame over the faster fps. I also had a chance to play with the new SB-900. I think the new interface is worth the extra price alone! The navigation is much easier, especially when accessing CLS functions. 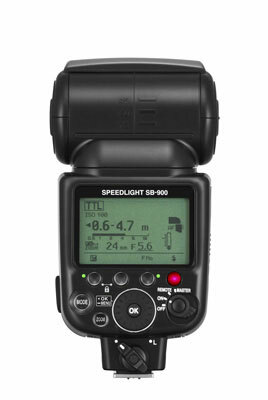 The click wheel is much easier to navigate through functions compared to the cross pad on the SB-800. It’s also easier for things like the zoom and exposure compensation because all you have to do is click the function you want to change and rotate the wheel. The recycle time of the SB-900 with 4 batteries is definitely on par with the SB-800 and 5 batteries. The flash had no problem keeping up with a burst from the D700 of about 8-10 images on cheap alkaline batteries. Power seemed about the same between the two flashes, but the new added flexibility is a very welcome change. There are also a couple of new “illumination modes”: standard, center, and even. I didn’t play with these extensively, but between these new modes and the extended zoom range, the SB-900 is sure to open up a lot of creative possibilities. These are a couple of shots I took with the D700. I was just trying to get a feel for some of the features of the camera and it certainly delivers. These are JPEGs taken straight from the camera with Standard Picture Control, with the default sharpening bumped up slightly. They’ve been resized from Lightroom for the web. I intentionally held off upgrading my D200 to a D300 simply because I had a feeling a camera like the D700 was coming down the road. The D300 is an excellent camera but I’d rather have the benefit of a full-frame sensor. Even though I don’t utilize it often, the excellent high ISO performance certainly doesn’t hurt either. Does that mean everyone should get a D700 over the D300? Not necessarily. I think there’s definitely a clear distinction between the two cameras and each one has clear benefits depending on the type of shooting you do. For the type of shooting I primarily like to do, I’m sold on the D700.